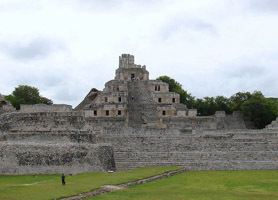 Among the sites of interest are the cities and colonial towns such as the estates where agriculture and forestry industry were initially promoted in Campeche with varied crops such as corn, sugar cane, sisal and logwood. 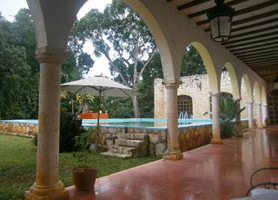 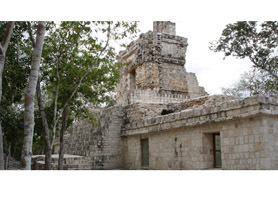 These places are scattered throughout the state of Campeche and many have been rebuilt and restored for tourism. 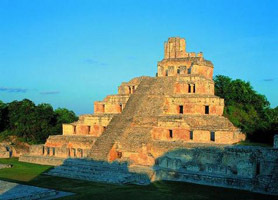 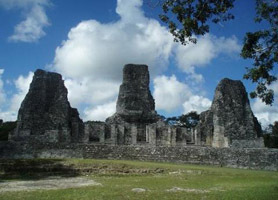 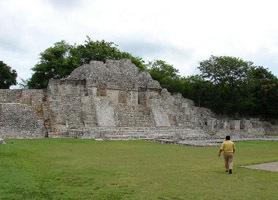 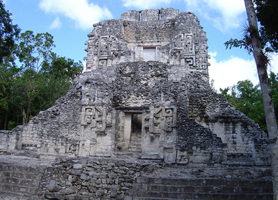 There are several archaeological sites in Campeche, for example in the south, Hormiguero and Rio Bec, in the middle, Dzibilnocac and Tabasqueño, and in the northern coast Jaina. 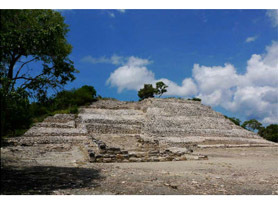 It has also several archaeological sites open to the public, faithful expressions of the Mayan culture and its classical period, as the City Calakmul, which has been declared a World Heritage Site. 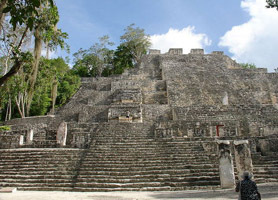 The visitor can also find the majestic temple of the five-floor of Edzná City, located in the valley of the same name, with its main square, the big house or Nohochná, the Temple of the South, the Temple of the Masks, the Temple of the North and the Great Acropolis. 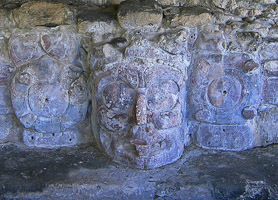 In addition, the Jaina Island is a place of much interest due to its archaeological values, and its calcareous nature which contains one of the most visited archaeological sites, the Necropolis. 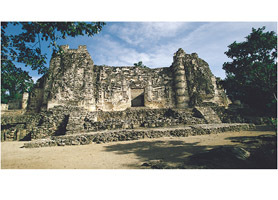 Furthermore, Uaymil Island with traces of Puuc style architecture offers ritualistic attractions as well as the archaeological places of Xpujil and Chicanná. 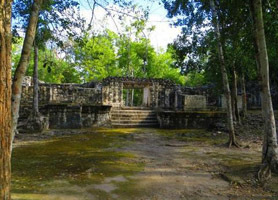 Hochob located in Los Chenes, with its Palace of the East and its Main Palace, seems to be made for people’s pleasure, similarly, the recently discovered Balamkú temple offers interesting views and charms. 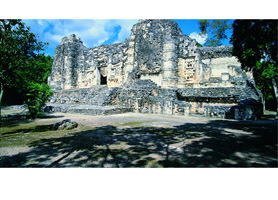 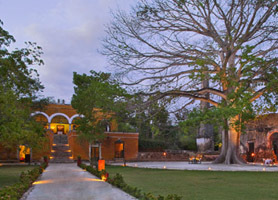 The state of Campeche has natural temptations such as Palizada, “Magical Towns”, which are reached by the river of the same name. 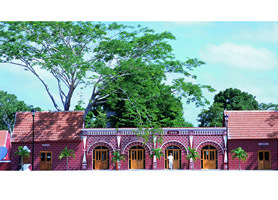 This denomination was received in 2010 for showing its traditions and customs. 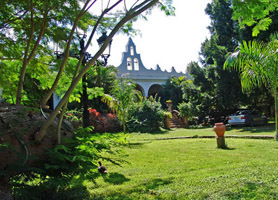 The picturesque village has tiled colonial houses with French style architecture, making it attractive for its varied colors and cute portals where people will find shops and restaurants with typical food. 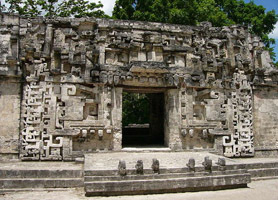 Wood carving of various object is also typical of this site, which for years, was the cutting and milling place of precious woods from the New World to the Old World. 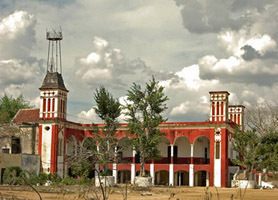 To those sites above mentioned are added uncountable places, many of them in the process of being open to the public and some still unexplored. 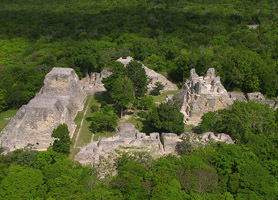 In Campeche, there are over 130 underwater archaeological sites discovered in recent years facing its coasts, covering a broad period from the prehistory to the present; they are mainly shipwrecks in shallow coral reefs, and other are very sought wrecks, such as Nuestra Señora del Juncal, a galleon of the fleet of New Spain which sank in 1631 having flows of gold and silver coins. 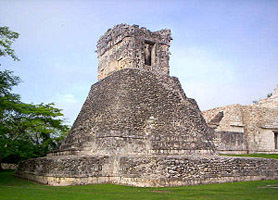 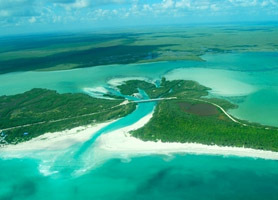 The area of Campeche is an ideal place for diving, because of the Campeche Bank Reefs, about 100 km off the coast in front of the city, formed by emerging coral zone containing little Cays as Cayo Arcas and coral Triangle, consisting of the Triangles of the West, East and South, and the Bishop Bank, a reef bank submerged in the coasts. 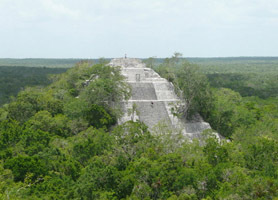 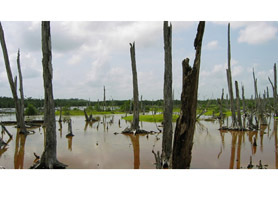 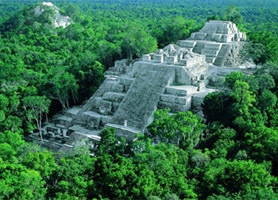 It also has forests, wetlands, ponds, streams, rivers, cenotes and caves, because more than 40% of the territory is a protected natural area, a situation that in 2008 allowed Campeche entering in the UNESCO list of next Mexicans sites that will become part of the World Heritage, as well as the wetlands of the Terms-Centla Lagoon and the ecoregion Petenes-Ria Celestun.